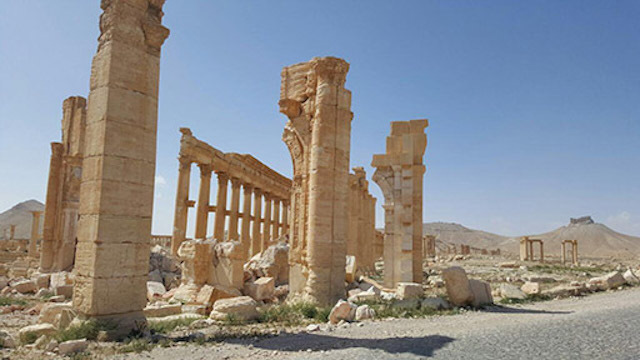 The Syrian regime has taken complete control of the ancient city of Palmyra, which had been occupied by ISIS since last May. 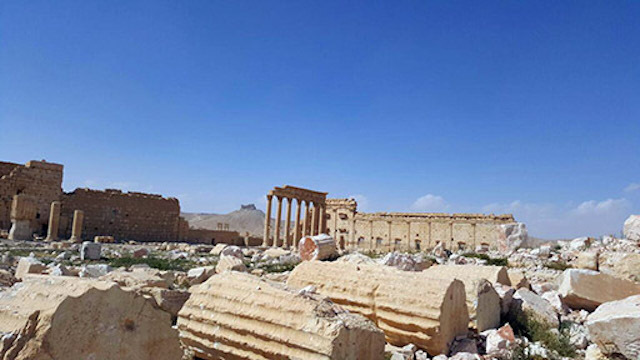 Sunday’s reclamation, by President Bashar al-Assad’s military, backed by Russian air forces, signals an end to months of devastation of the city’s ancient heritage and the start of a period of restoration and rebuilding. 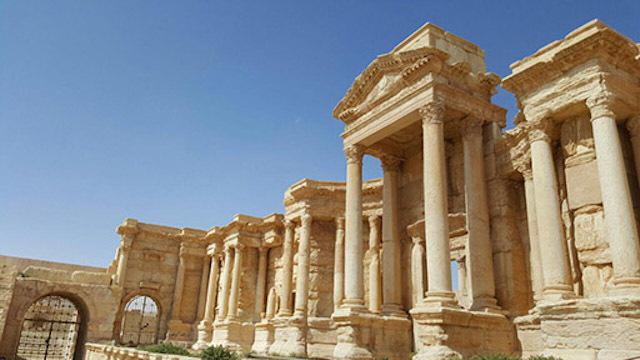 Maamoun Abdelkarim, Syria’s director general of antiquities and museums, estimates that 80% of Palmyra’s ruins “are in good shape” and that restoration efforts may take five years with UNESCO’s approval. 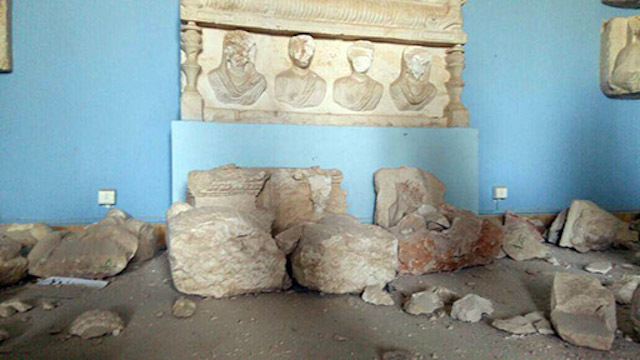 Images and video that have since emerged from the UNESCO World Heritage site reveal previously unknown damage to a number of structures, such as the Palmyra museum; however, other significant ruins survived unscathed, giving archaeologists hope as they begin assessing the full extent of ISIS’s actions. 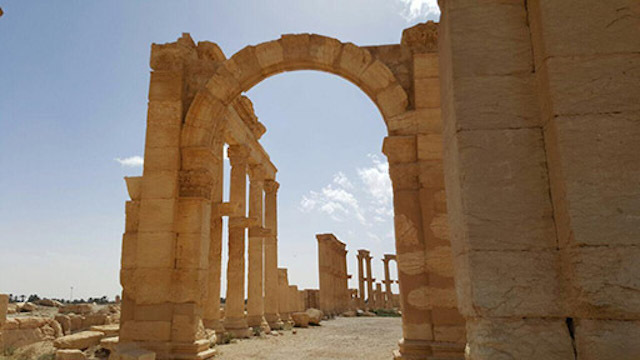 “We are optimistic that we can restore this ancient city, a prospect that fills us with happiness and joy, despite the war we are still living through,” Abdelkarim wrote in the Guardian. 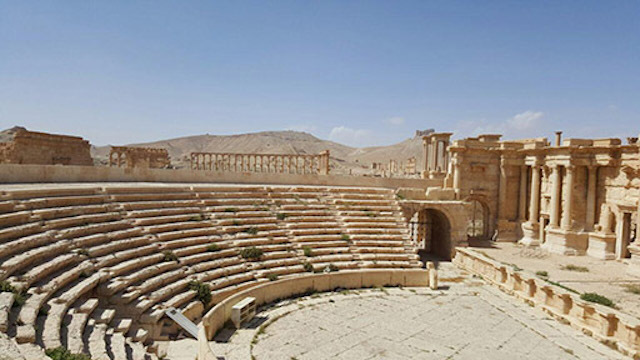 Others are less confident: Annie Sartre-Fauriat, a UNESCO expert on Syria, told AFP she is “very doubtful about the capacity, even with international aid, of rebuilding the site at Palmyra. 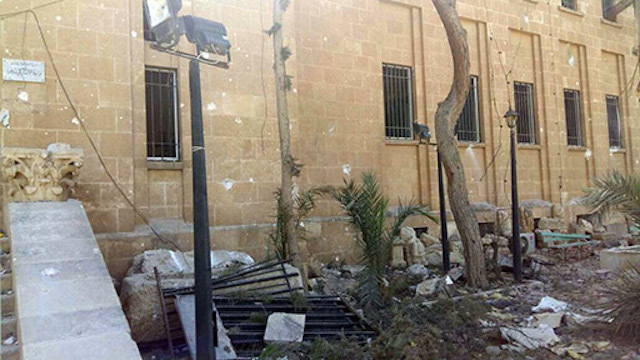 According to Abdelkarim, militants converted the museum into a court and dungeon. 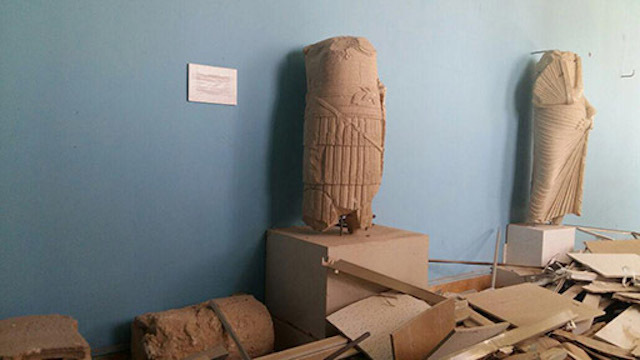 The limestone statue at its entrance, the Lion of Al-lāt, was one of the first victims of ISIS’s occupation, but antiquities staff has, until now, been uncertain of the state of the museum’s holdings. 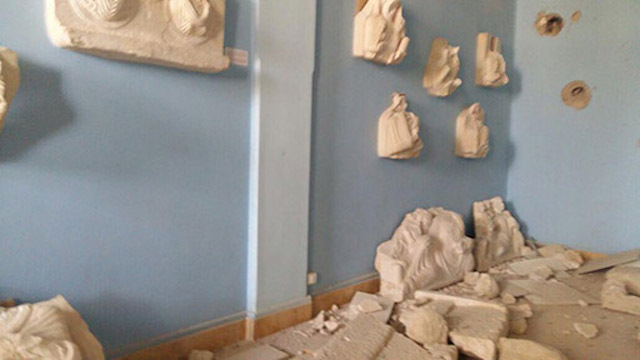 While they had moved many artifacts to Damascus for safekeeping before ISIS arrived, they were shocked to see the scope of the damage to the building and its remaining collection. 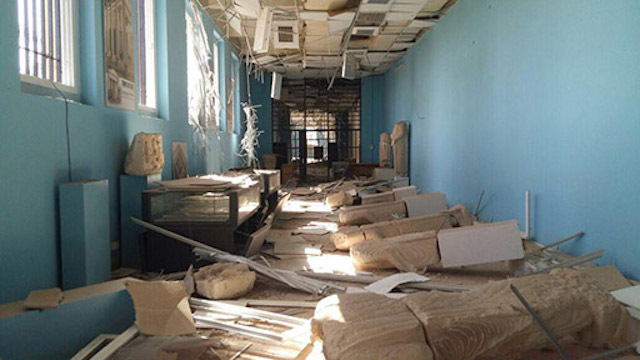 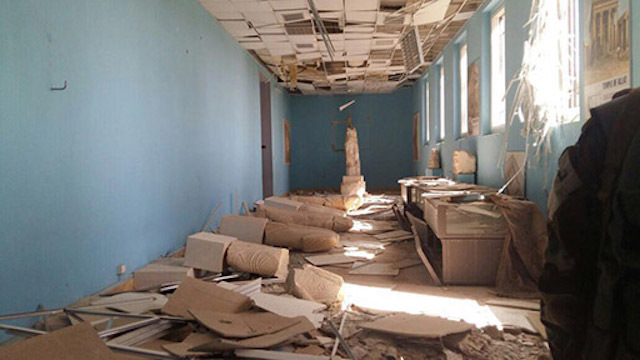 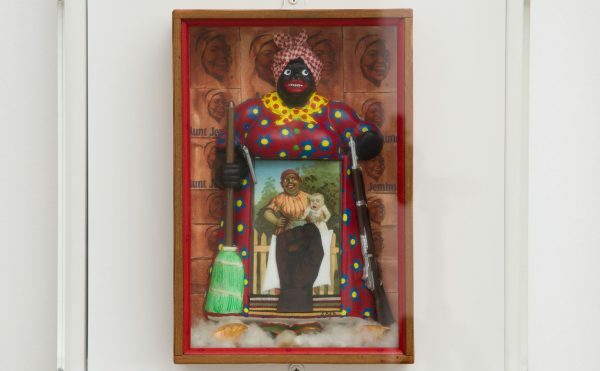 Terrorists smashed artifacts and statues, littering the halls with remnants and broken pedestals and display cases. 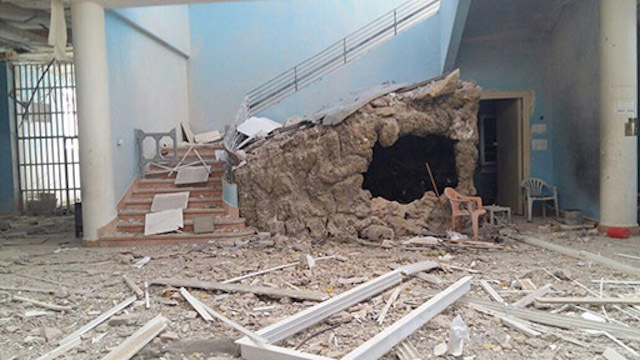 They also seem to have blown up the basement. 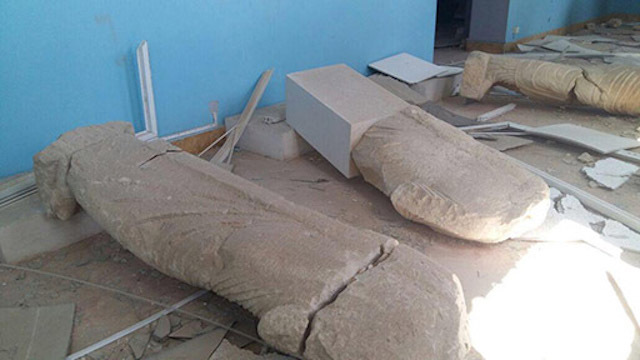 Amr al-Azm, a former Syrian antiquities official, said that ISIS fighters had broken many of the statues’ faces but did not completely destroy them, meaning that they could undergo some level of restoration. 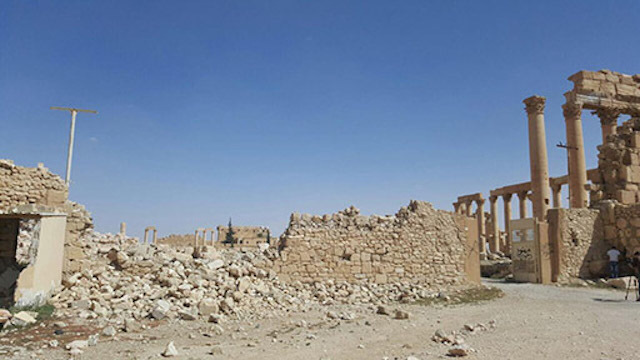 Spared as well were large parts of the Great Colonnade, which links the Temple of Bel to the city’s West Gate, and the 13th-century Fakhr-al-Din al-Maani castle, which stands on raised bedrock. 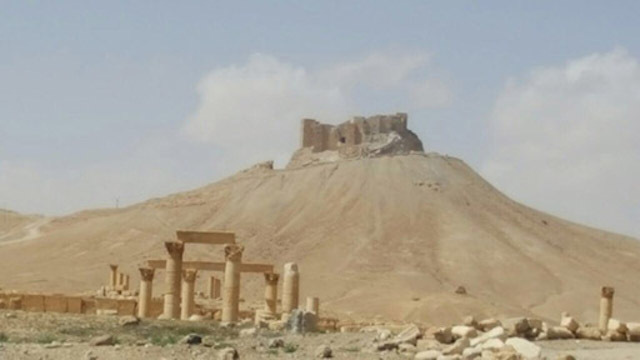 Troops are now working to clear the ancient city, known as “the bride of the desert,” of any possible mines ISIS may have left behind. 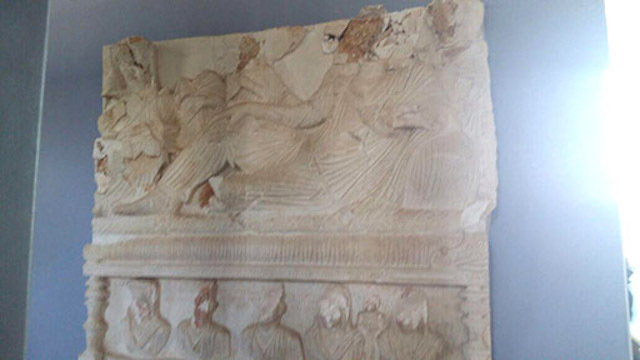 Once the monuments are declared safe, archaeologists will undertake more comprehensive assessments to start rebuilding Palmyra and attempt to revive its heritage. 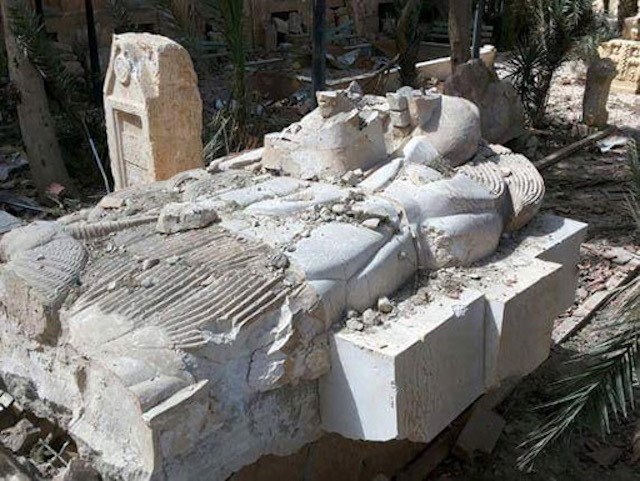 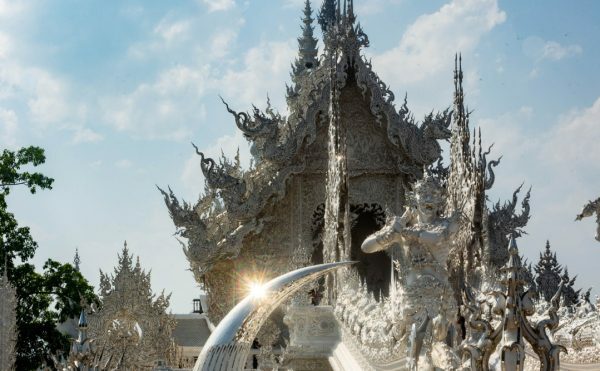 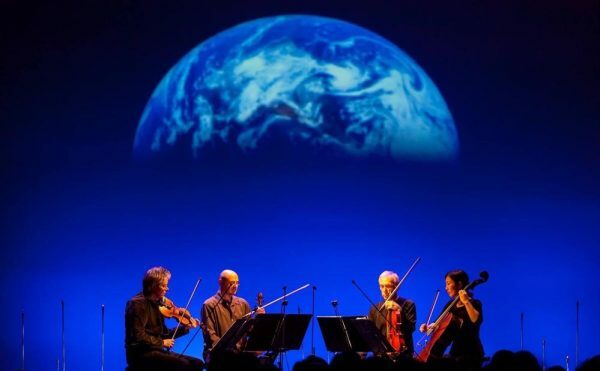 Update, 3/28, 2:20 pm ET: This story has been updated to incorporate comments from an expert from UNESCO. 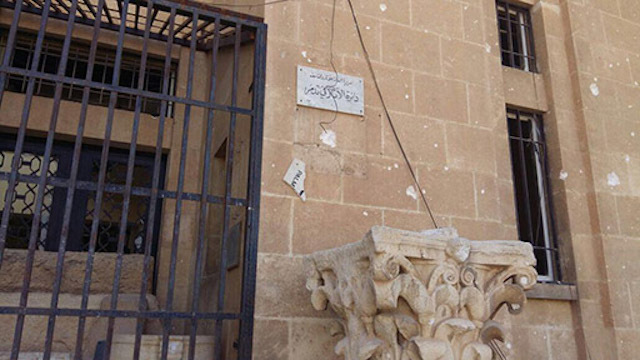 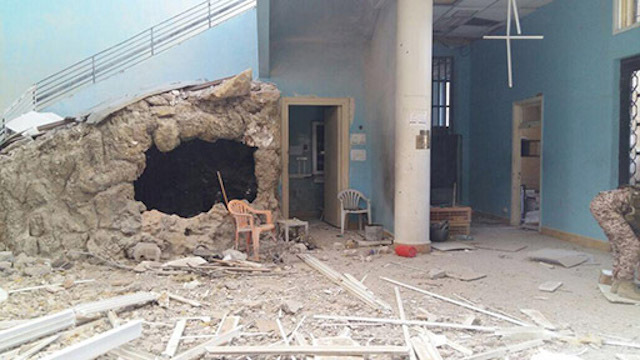 Update, 3/29, 12:20 pm ET: Abdulkarim has said that a covert effort by his department alerting ISIS to possible consequences of their actions contributed to the city’s partial preservation. 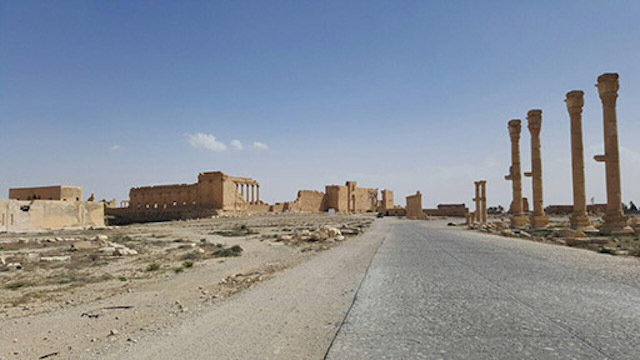 Through messages delivered by Palmyra-based government workers, he and his team convinced locals — naturally proud of these sites, which also fuel their economy — to pressure militants into halting attacks. 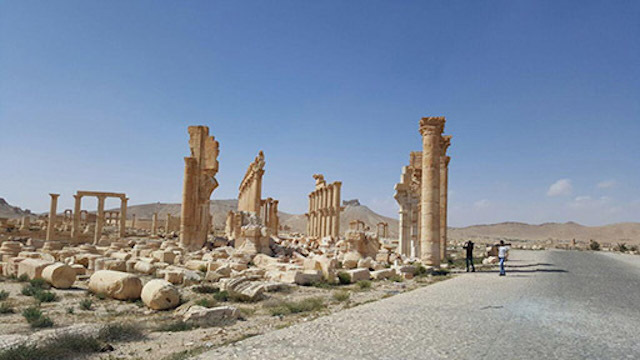 As the New York Times notes, the militants had remained relatively quiet about their destruction in Palmyra, compared to the videos vividly chronicling their rampage at other ancient sites.